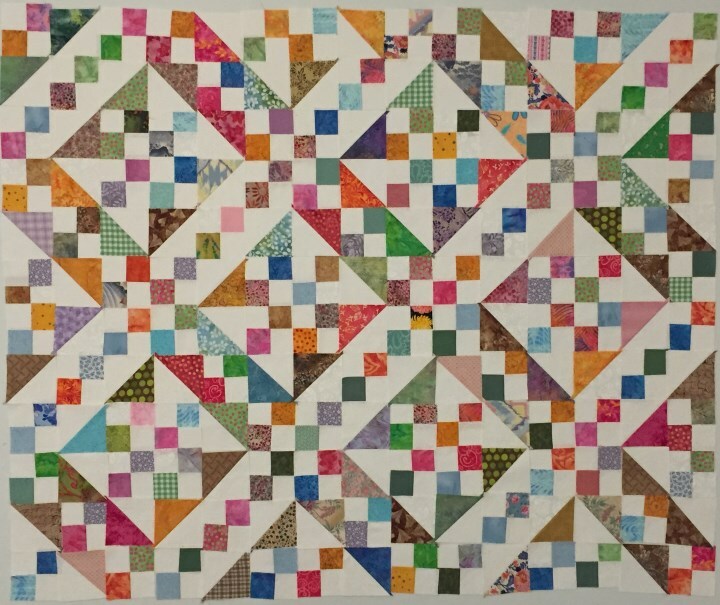 Welcome to the home of the Questioning Quilter. 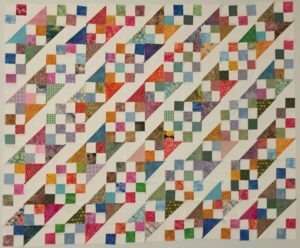 My goal is to inspire quilters and advance the art of quilting. 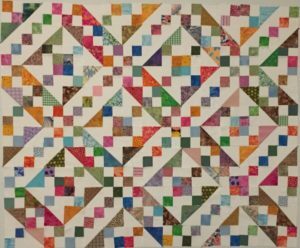 I write bi-monthly educational articles on quilting. 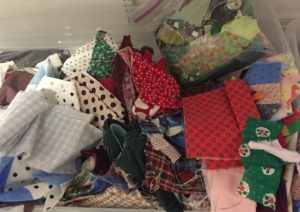 What is the best batting for a potholder? I have a periodic informational newsletter with content you can’t get anywhere else. 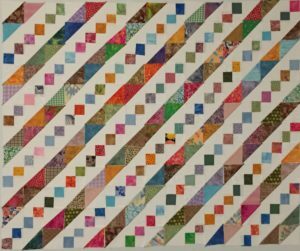 Subscribes also get the free pattern for this quilt as well as access to the archive of previous newsletters. I create free tutorials and am adding new ones every couple of months. Have you ever started on a project that seemed like it would be pretty easy only to find out, once you got into it, that it was more of a monster? Well here I am, more than 2 months since my last article. I knew that this topic would have to be broken up into multiple pieces and that is where I made my first mistake. 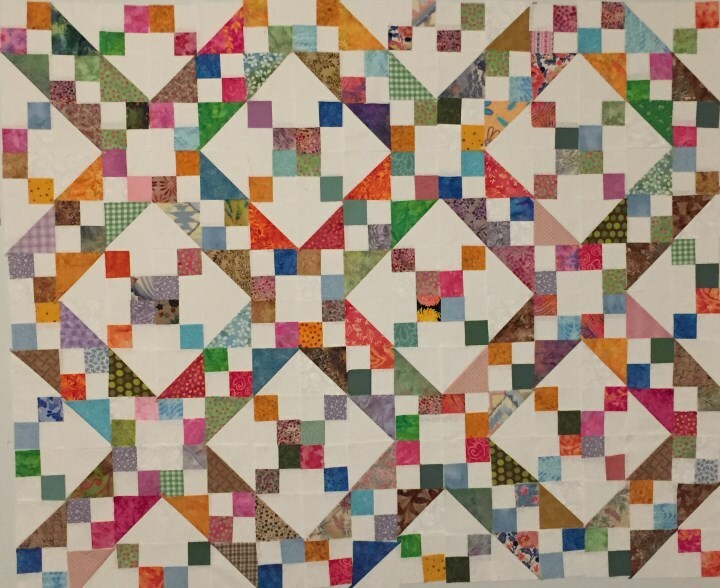 I knew that the first part would be how to cut and sort the scraps (see the blog), and subsequent parts would give examples of quilts made with those cut up pieces. I am trying to get people to sign up for my newsletter (because if I ever want to get published in a “real” magazine they want to know how many subscribers I have). 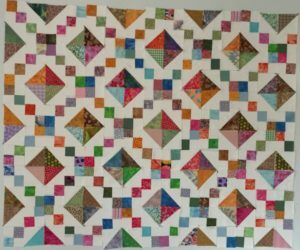 To do this, I promised a free pattern. That seemed easy enough (famous last words). 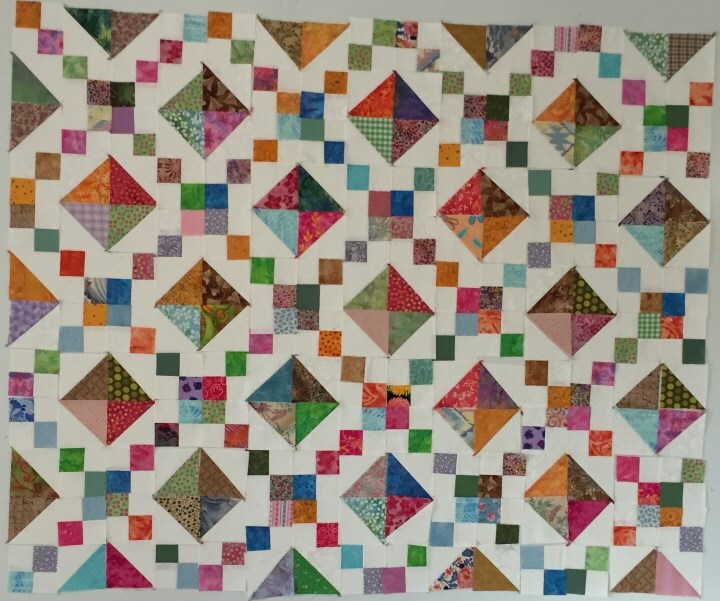 I took 2 1/2″ and 5″ blocks (made into 1/2 square triangles) and laid them out on my design wall (shown below). I asked my husband to pick which one he liked the best. 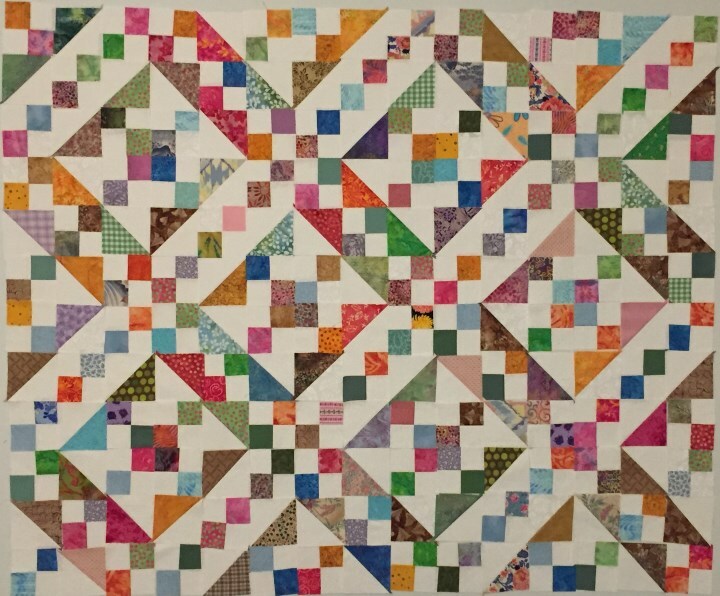 That was my second mistake, because he asked if I could use that pattern to make a queen size bed spread. Sure, I thought. Why not. 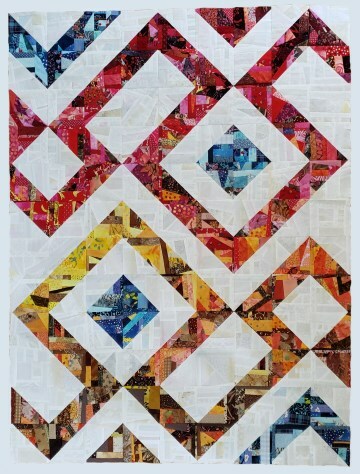 I would just take notes and photos of the quilt top as I created it, then use that information to make a pattern. That was my third mistake. 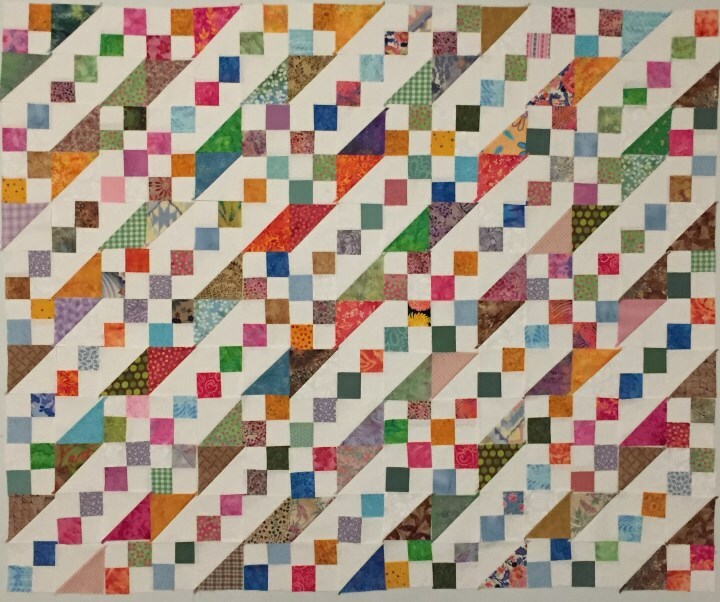 I got so busy making the pattern look pretty, that I added too many rows and my quilt is longer than the standard queen size batting. Not a problem for me, I bought the batting off a large roll and I always buy extra. BUT, not good for a published queen size pattern. 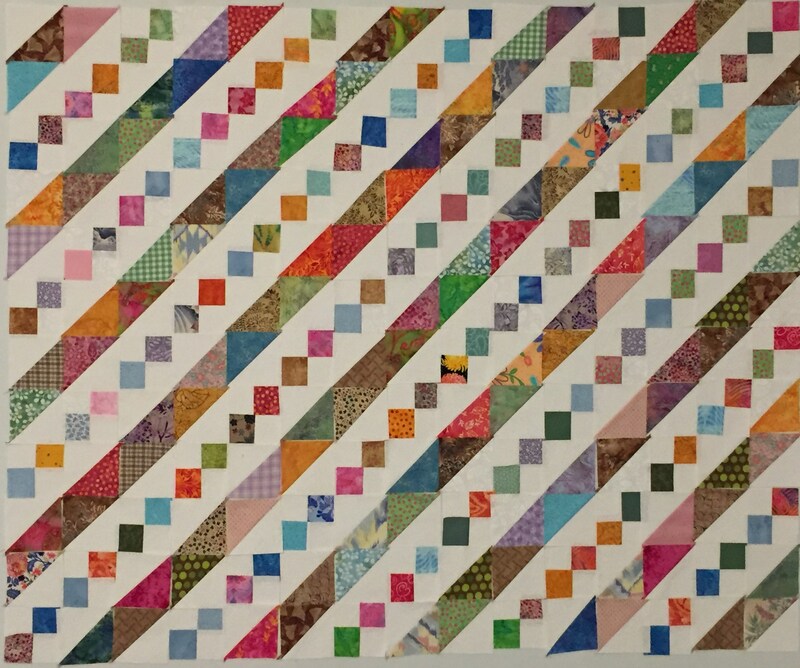 I decided that the only fair thing to do was to offer the pattern in 3 different sizes, Lap, Queen, and Queen Plus. I only made the Queen Plus, but I ran all the calculations and included all the measurements for the other sizes. 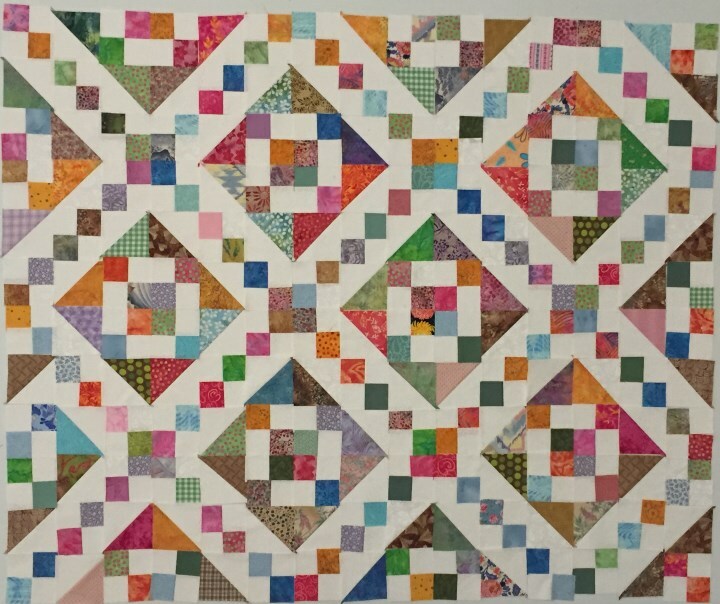 You can see by the picture that it is only a quilt top at this point. 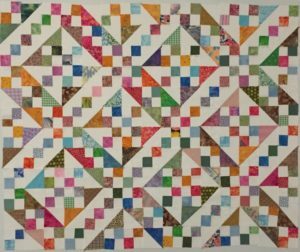 If I had to wait until the bed spread was quilted, this article would have to wait another month. LOL. I still want t o explore what we can do with all the pre-cuts that we have made. Each of these will get their own article. 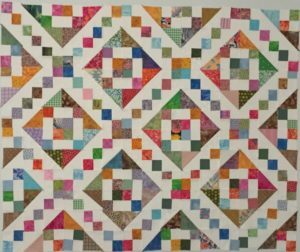 Next month I will explore how to use color and contrast to make your scrap quilt even more beautiful. 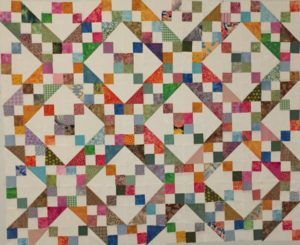 I will use the various sized “charm” squares that I cut. 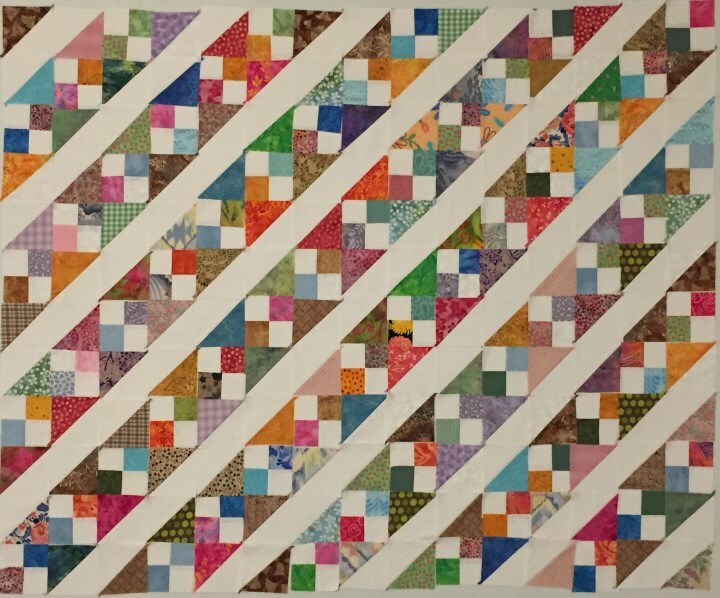 After that, I will experiment with various types of string/strip quilts. 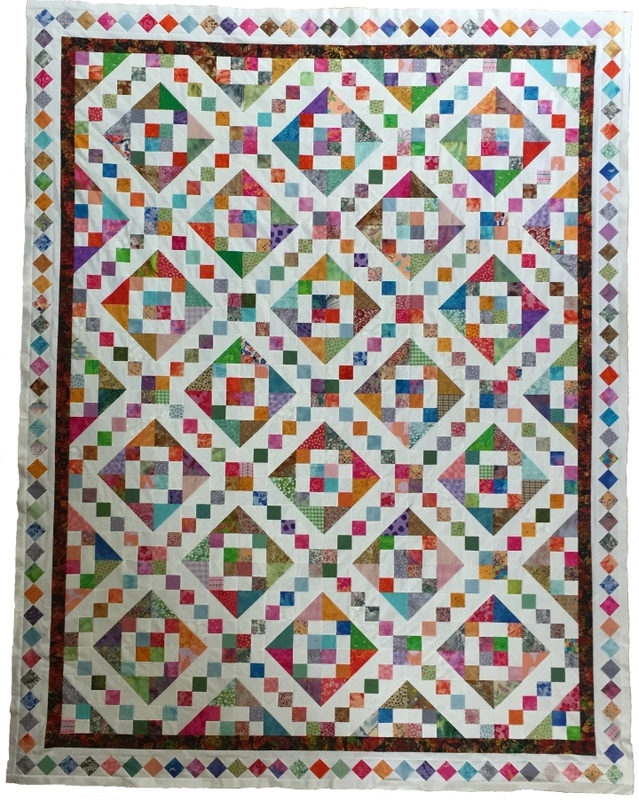 After that, I want to share with everyone all the fun of crumb quilting. My biggest problem is that for every project that I start, I find myself asking more questions. I guess that is good, it will keep me writing for some time to come. 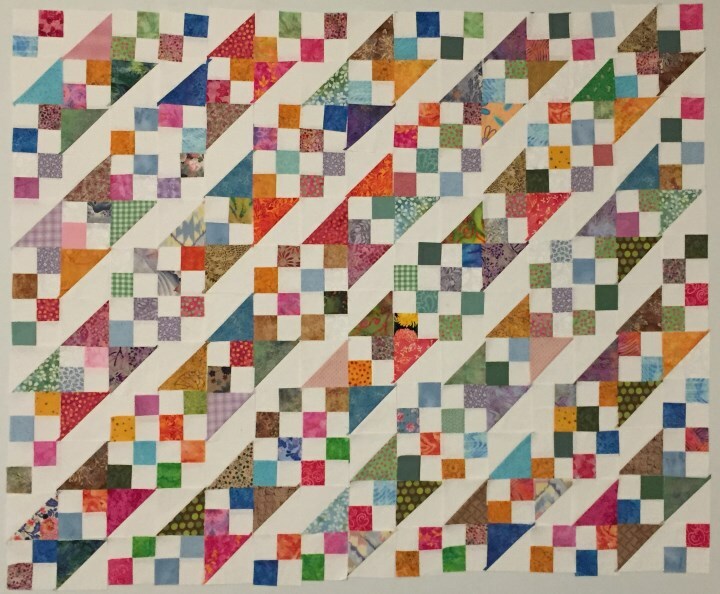 Sign up for the newsletter and get the pattern for the Jacob’s Ladder Quilt shown above! 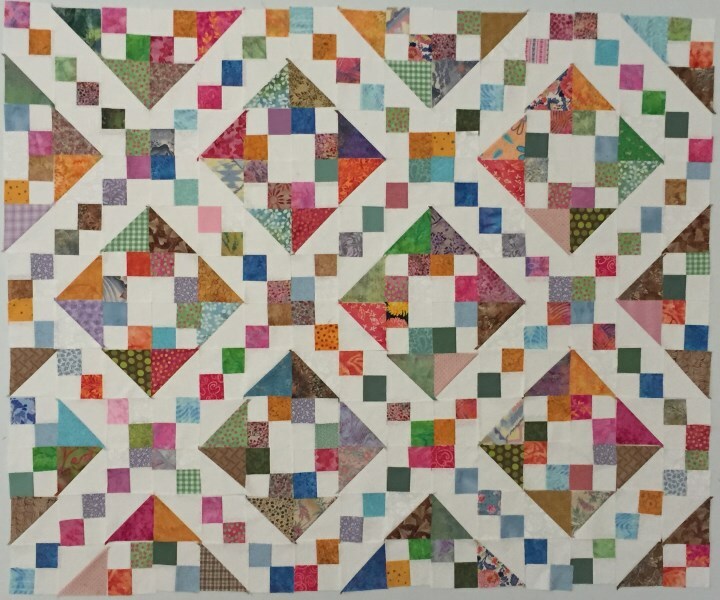 My Blog is behind schedule because my husband liked the sample layout so much he asked that it be made into a bed spread. 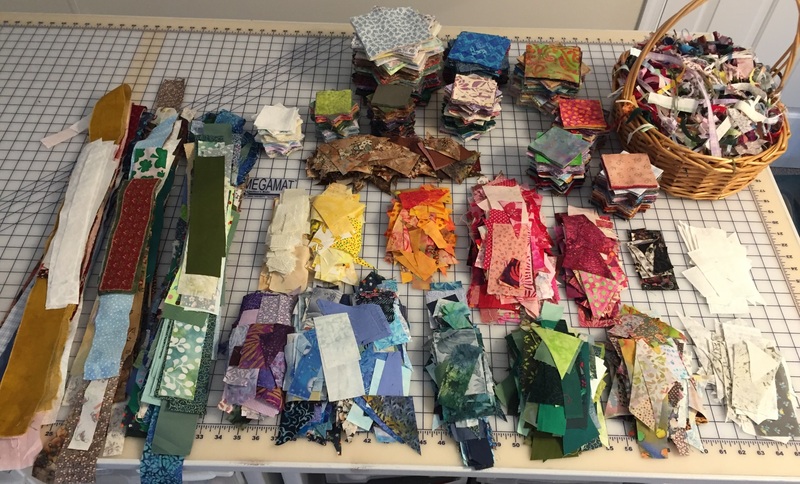 Here are some of the layouts I considered with the scraps that I cut. Please click on any of the images to see the full size layout. You will have to wait till the blog comes out to see which one will turn into a queen size bed spread. By the way the pattern for the winner will be included in the next newsletter. 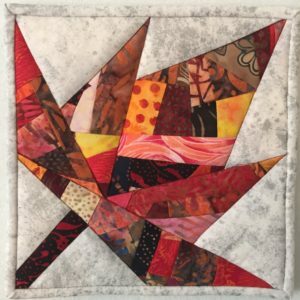 My name is Brita Nelson and I recently retired and decided to devote my time to sharing my love of quilting and the quilting arts with others. 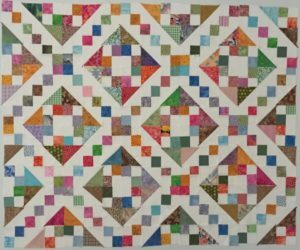 The first thing I did was to create an “Introduction to Quilting Class”, designed for the absolute beginner. 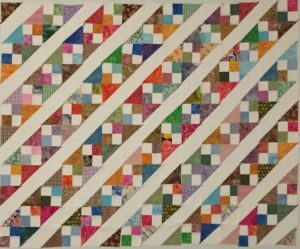 All you need to do is be able to use a sewing machine and sew a straight line. In this class the students make a beautiful pot holder they can take home and use. Information about how to take this class or have me come to your organization to teach is on the Classes page. While practicing making the pot holders for this class, I started wondering what I could use instead of the standard cotton batting. I also wondered if the fancy “Insul-Brite” insulated batting actually works. You could say that this was my first Question and first blog post. What is the best batting for a pot holder? 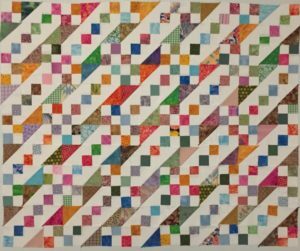 I know that there are a lot more questions out there and I am hoping that you will share some of your quilting questions with me and together we can find answers. What is the best batting for a pot holder? Brita on What is the best batting for a pot holder? KittyG on What is the best batting for a pot holder?